Have a wedding or special occasion coming up? Always wanted to learn to dance? We have just the course you need! 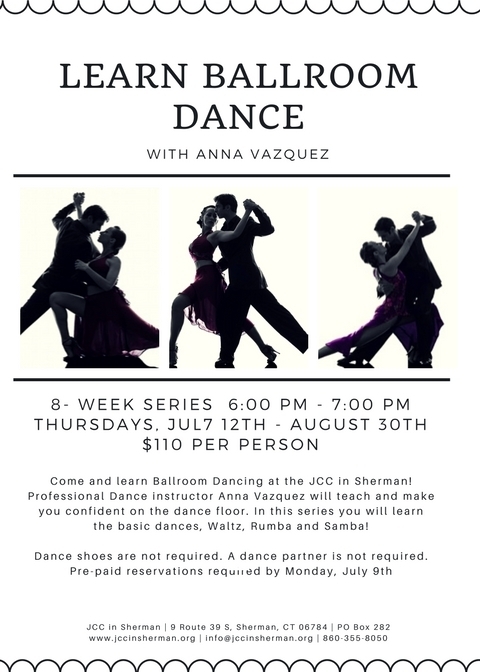 Come learn to ballroom dance with professional instructor, Anna Vazquez at the JCC in Sherman. Anna will teach you how to feel confident on the dance floor. This 8 week series will cover three dances: the waltz, rumba and samba.